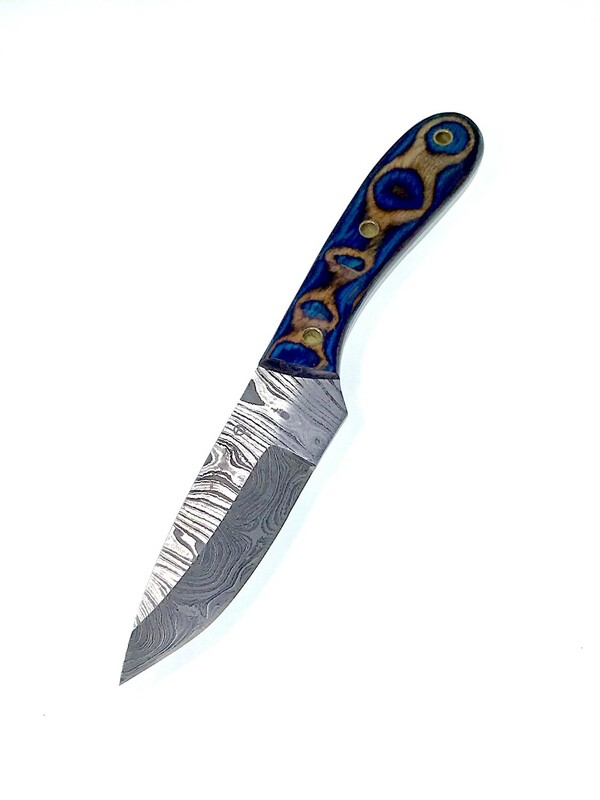 The handle is made of oak wood and has blue dye added design. The shape makes it fit well in the hands. The Blade is a Damascus Drop Point, great for skinning and slicing. Includes a FREE mini oil bottle and cloth care pack with your order.